The first half of 2018 saw a strong performance by the aerospace sector, setting new records for deliveries and the total order backlog. Deliveries have set new records for the month of June at 165 aircraft, Q2 with 383 aircraft deliveries and first half year at 693 aircraft. Engine deliveries also saw a record June and second quarter with 362 in total, an 11 per cent increase over 2017. 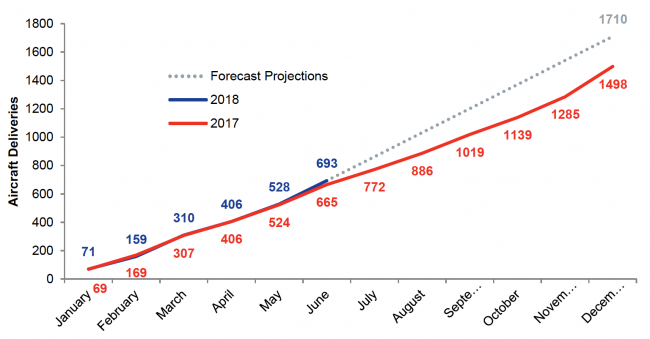 June’s figures also made this the best first six months for wide-bodied aircraft on record with 241 orders in total, a 47 per cent increase on 2017 orders. The industry sees both the largest backlog of engine orders with 26,068 on firm order and the largest backlog of aircraft orders on record with 14,327 which beats the backlog for December 2017 of 14,324. ADS Chief Executive Paul Everitt said: “The UK aerospace industry is thriving as the global industry sets new record for orders and deliveries in the first half of 2018. “It is hugely encouraging to see the continued growth in demand for new aircraft and engines. 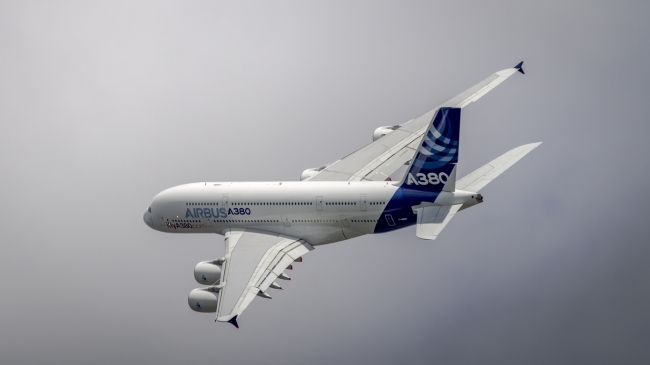 “This month at Farnborough International Airshow we saw deals worth $192 billion announced helping to give the UK supply chain the confidence to invest in new capability and capacity. Aircraft order and delivery numbers for July will include orders made during Farnborough International Airshow and will be published at the end of August.